9. Building muscles, no need to go to the gym. 8. 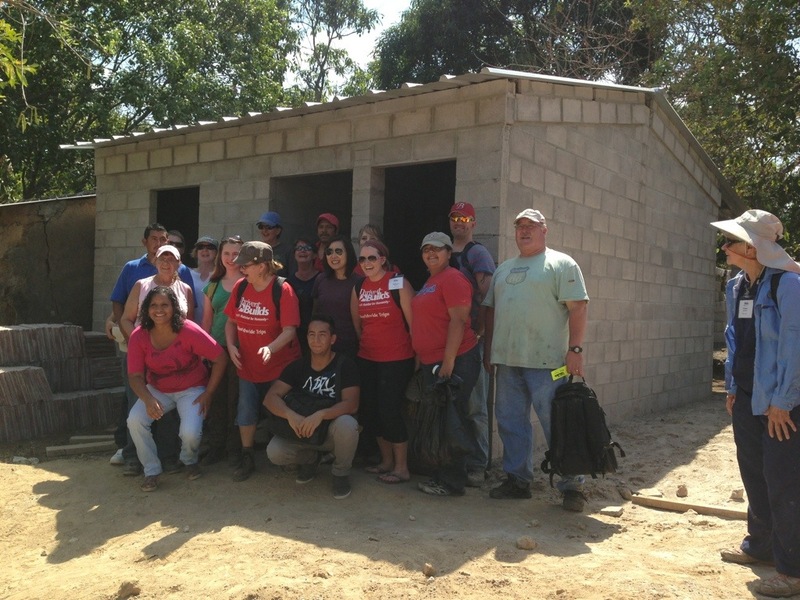 Enjoying a “Type A” organized trip – Habitat El Salvador is one well-oiled machine! 7. Eating pupusas (stuffed tortillas)! 6. Loving our masons and their assistants Roy, Omar, Jamie, Rafael, who are not only wonderful builders but wonderful people! 5. Basking in radiant smiles from the adorable El Salvadorian children (kidnapping seems rational…for a second). 4. Building homes not for just these homeowners but impacting generations to come. 3. Meeting Pastor Carlos at Cristo Rey Lutheran Church in Santa Ana and being inspired by his church’s mission to help the most disenfranchised of his community. 2. Seeing the immense poverty firsthand and thinking twice about wanting a bigger home or anything else materialistic for that matter when many are living in dilapidated tin shanties. 1. Feeling God’s love exude over all of our work and knowing we are fulfilling His mission for us to serve the poor, love one another and glorify Him in doing so. This entry was posted on Saturday, February 23rd, 2013 at 12:13 am	and posted in The Church in The World. You can follow any responses to this entry through the RSS 2.0 feed.